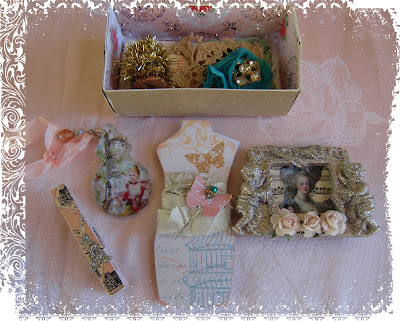 Over the Rainebeau: Spring Altered Matchbox Swap! and tore a strip of fabric with French words and wrapped it around the box. I trimmed both edges with silver german scrap. 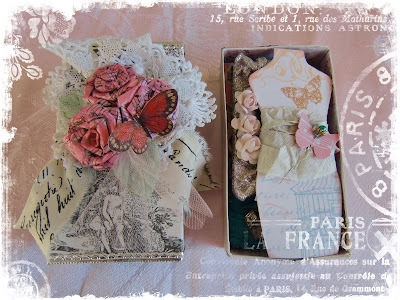 and roses I had made from vintage music paper and glimmer misted. 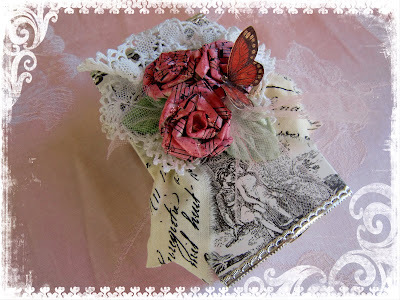 Tim Holtz's crackle glaze and attached it atop a rose. 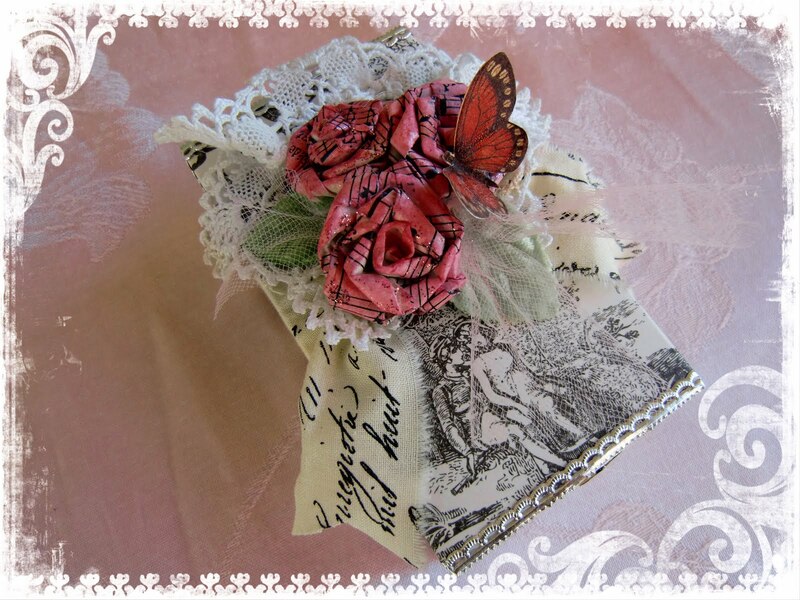 I love the roses on the box you made...do you happen to have a tutorial on them? They are so pretty!